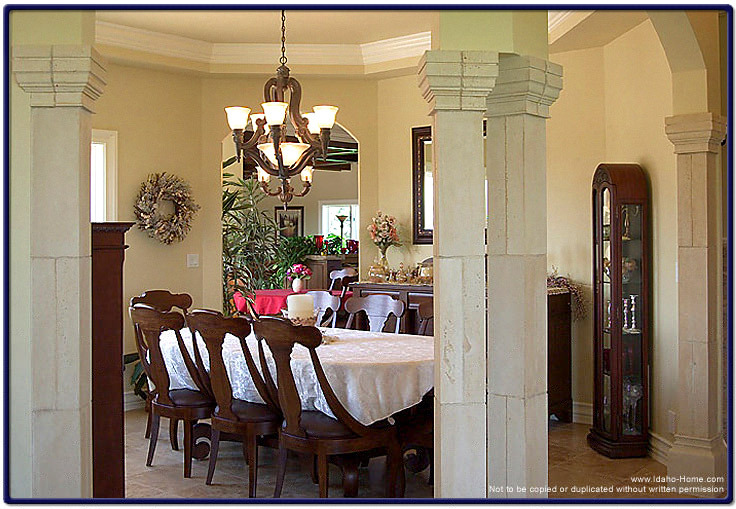 This is a picture of a formal dining room surrounded by pillars, and high ceiling lighting that drops down to the center of the table. This design can create a beautiful setting for your family and friends during special occasions and holidays. The room as well as the home itself was designed and built by Corey Schoenauer of One World Builders.